If Luke hadn’t died in such an extreme way, I’d just be one of those ‘family violence’ people no one listens to. Rosie Batty, CEO Luke Batty Foundation, Australian of the Year 2015. 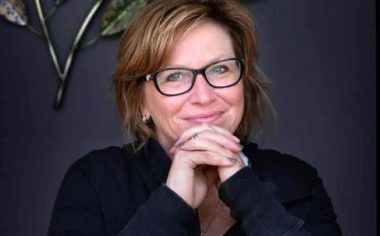 Rosie Batty has continued to work tirelessly as CEO of the Luke Batty Foundation since her impactful Australian of the Year honour. Her breakthrough work has given victims of family violence a voice and helped bring the scourge out of the shadows. It’s important to remember she didn’t ask for a platform and regrets it took her son’s death to become a catalyst for change but she continues to remind us why family violence should be viewed through the lens of compassion. Martine Harte: Rosie you say sometimes that smallest examples of kindness and compassion can make the biggest difference to victim’s of family violence? Yes because people don’t expect an awful lot. The first thing that goes a long way is not to blame victims and to actually understand their journey is complex, overwhelming, it can be frightening, it can be very unsafe so really that compassion, that human kindness in whatever way you can demonstrate. I think that’s what I mean is little things go a long way because people don’t necessarily have an expectation of what kindness may look like. You know when Luke was killed people cooked meals: people brought flowers, people did housework, people wrote poetry, they gave me cards, you know things that just showed that they care about you and your journey. Those little gestures of humanity. When your financial means are really impacted to just know that’s something you don’t have to worry about or think of, it’s many of the things that come to you. How extraordinary was the incredible ‘Australian of the Year’ platform to get your message across? It’s been really amazing, certainly I started off the Year maybe being well-known because of my story within Victoria, but now I’m well recognised throughout Australia. I have people coming to me everyday; whether they see me at the airport or wherever they may see me and they kindly commend me and share with me quite often the difference its either made to them or a family member or a friend or how it’s made them think differently. I didn’t have an expectation at the start of the year but certainly I felt it was a privilege and an opportunity to use the platform of being Australian Of The Year as best as I could. After speaking at two hundred and fifty engagements and reaching about 70,000 people that in fact it has resonated and created a huge ripple effect and people are starting to recognise they need to do more in their workplace and they need to do more in their community, they need to do more in their families and you know it’s a step in the right direction. Obviously much more needs to be done. 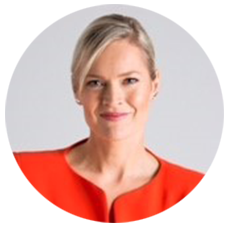 In our interview with Natasha Stott Despoja for Engaging Women she named you as being the single reason why this conversation has all of a sudden come out from behind closed doors, how do you react to that? It happens to me everyday and all I say is it makes a huge difference to you and it’s very comforting. I respect people like Natasha Stott Despoja and Elizabeth Broderick and some great people and I guess I just regret that it took Luke’s death for me to have a voice and be heard. Do you have any insights when it comes to tapping into our voice and finding the courage to speak up for what is right? We just do the best we can in what every way it is, I think what seems courageous to other people doesn’t necessarily seem courageous to me I just get up and do the best I can. That encouragement and support has given me great confidence to help me find my voice. Also, a great determination to do more so it’s having that strength from within for whatever it is to do what’s right for you. My journey is what feels right for me (that doesn’t mean it’s right for other people) but I do feel what is right of you is to know that you deserve a life that is fulfilling and safe and to have freedom of choice. We all deserve that and I do know after speaking to many people who have chosen to move forward that they are really pleased that they now have that freedom to have a life that’s of their own choosing. Please head across to learn more about Rosie’s incredible advocacy over here. The Luke Batty Foundation is established in memory of Luke Batty who was tragically killed by his father at cricket practice on Wednesday 12th February 2014 in Tyabb, Victoria. Everyone in Australia was hugely affected by the manner in which Luke was killed and communities from far and wide responded generously by sending to Luke’s mum Rosie, hundreds of cards, an abundance of beautiful flowers, and donations, both large and small. The response was so overwhelming that it inspired Rosie to set up the Luke Batty Foundation. Read my full interview with Natasha Stott Despoja where we talk about her role with Our Watch here. Posted in Interviews Engaging Women. Tagged in Australian of the Year Rosie Batty, family violence in Australia, Luke Batty Foundation, Never Alone Campaign, Our Watch.